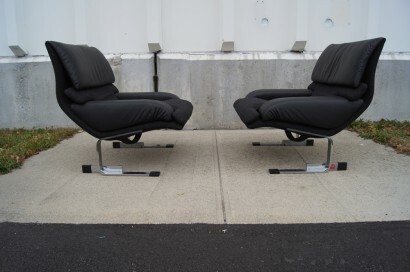 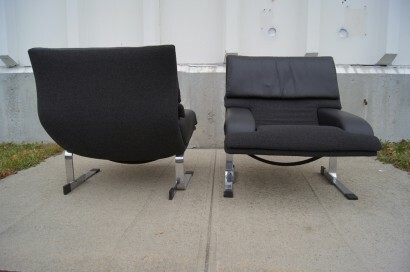 Giovanni Offredi designed these comfortable lounge chairs as part of his Onda Series for Saporiti. 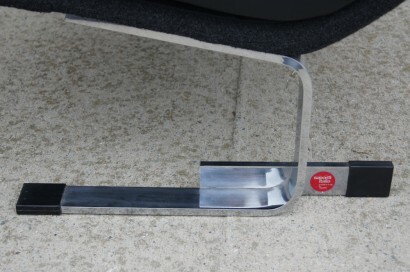 The seat floats wavelike above sturdy chrome legs. 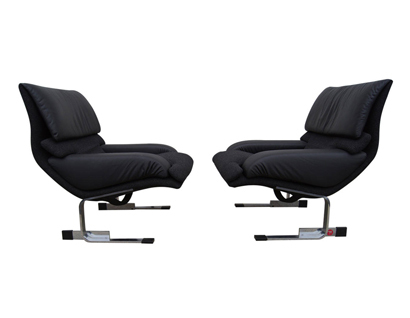 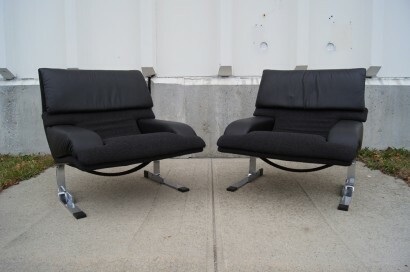 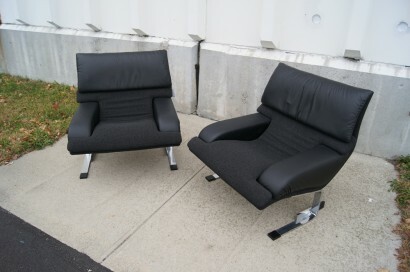 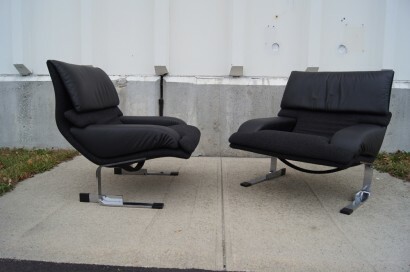 These chairs have been expertly reupholstered in black leather and Knoll’s Cuddle textile.